Stacey C. Blink, joined the firm as a partner on August 1, 2017. Stacey is an experienced transactional attorney accepting clients in real estate transactions and development, business and corporate law, and estate planning and probate. Amanda Hassid, joined the firm as a partner on January 1, 2017. Amanda started with firm on October 7, 2015. 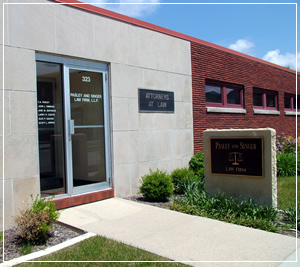 Amanda is accepting clients for civil litigation as well as some transactional matters. We have added LawPay to give our clients new options for paying invoices and making trust deposits. Visit the Payments page on our website to iniate a credit card payment. This allows us now to except Visa, Mastercard, American Express, and Discover.